Coffee milk was one of my standout discoveries as a freshman in college, fresh-faced and fresh to Rhode Island as I was. In a cafeteria semi-affectionately known as the Ratty, giant, nicked-up steel beverage caddies dispensed it along side regular and chocolate milk. I remember my introduction to it clear as day: “Coffee milk?” I asked. “Like coffee, with milk?” No, not at all, I was informed. And shame on me for assuming so. (I understand that lifelong Rhode Islanders find nothing at all surprising or unique about coffee milk, but interlopers such as myself find it curious if not mind-blowing.) Long on tradition and odd-but-good, coffee milk felt like a fitting emblem of the state that I was getting to know, which quickly presented itself as deep in history yet also deeply maverick. 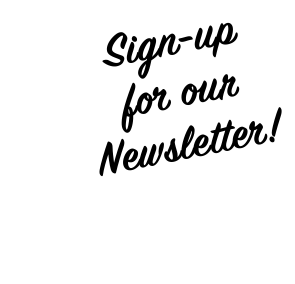 Thus, when Narragansett Brewing Company – “‘Gansett” to most – is announced this past fall that they planned to release a coffee milk stout this winter, my pickled heart skipped about half a dozen beats. How perfect, I thought. So perfect, in fact, that it’s hard to fathom why a mashup of the state’s most beloved beverage categories hadn’t happened ages ago. 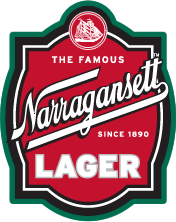 When I chatted with Mark Hellendrung, Narragansett’s CEO and amiable force to be reckoned with, he told me the inspiration was all about partnership. After resurrecting the Narragansett in 2005 from the state’s graveyard of once-great but since-felled businesses, and quickly hitting phenomenal growth numbers, Hellendrung and Co. began to think about new directions. The idea was not to ditch classics, or to change a brand identity with roots stretching back to 1890, but to do more with seasonal and other limited-edition brews. Straightaway, the brand’s long-lived, much-loved “Hi, neighbor” slogan – famously barked by Sox announcer Curt Gowdy – offered a springboard for partnering up with other iconic local companies. Thus begat the forthcoming “Hi, Neighbor” series of what the industry calls “shoulder” offerings: one-offs that allow a brewery to flex its creativity while keeping up with a core roster of beers. Hellendrung and his team knew they wanted to keep things close to home at first, and drummed up a wish list of local companies with compatible DNA. Autocrat Coffee Syrup materialized almost immediately as a likely candidate, since the two companies are a match made in beverage heaven. “It just seemed so right,” Hellendrung said. “They’re a company with great heritage in Rhode Island, like us, with similar 1890s roots.” It couldn’t hurt that coffee milk just so happens to be the state’s official drink as of 1993, and that coffee itself is a natural match for ertain dark beers, a flavor profile that makes sense given the beers’ natural character. The story goes like this: Hellundrung called up Autocrat’s CEO Rich Fields, who happens to be as invested in Rhode Island’s historic drinks culture as the ‘Gansett team, and conveniently also happens to be a beer fan. (Though, really, it’s rare to find somebody in the Ocean State who’s not a beer fan, no?) Fields signed on enthusiastically, and the first “Hi, Neighbour” collaboration was born. Customers can expect something more dry than it is sweet, and with complex bitter flavors akin to that of a good cup of coffee. Which will get you drunk. Let’s hear it for a hybrid between everyone’s favorite two drinks, eh? Eager patrons can find it in both draught and can forms for a limited time. 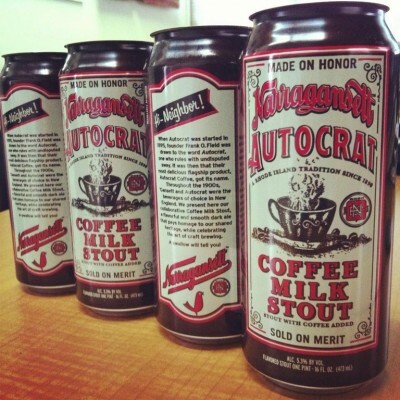 Look for a label that injects ‘Gansett’s classic, trademark style with a steam punk vibe, to play up both its and Autocrat’s turn-of-the-century origins. Future “Hi, Neighbor” rollouts are in the works, TBA. I’m dreaming of a shandy that marries ‘Gansett with Del’s, if that’s not already on the table. Cut me a check for the concept, Mr. Hellendrung – or just send me a case of the results. Will work for delicious, boozy currency.